Reviews - We love to hear feedback from all our customers. If you’d like to get in touch, please email us.
" Just want to say a massive thank you to Pam and Mo for all their help and guidance. I went to them in a complete panic as I only had 6 months to find my dress and Pam was so calming and relaxed she put me at ease straight away. Both Pam and Mo are amazing and kind and helped me pick my dress. I had one dress in mind but ended up going for a completely different style thanks to their help guidance and advice. I've never felt so elegant in all my life. I would totally recommend Pam and Mo it was like being with friends they are so helpful and friendly I can't praise them enough. I can't wait to go back and pick my dress up when it is ready. Thank you so much'' Helen.
" I had tried on so many dresses before I went to Sophie Grace and was feeling completely lost, but the amazing team helped me to focus on what I was really looking for so I could find the perfect dress! Nothing was too much trouble, and I left feeling totally happy with my decision! The alterations department were amazing and got the dress fitting like a glove :) My wedding was in Turkey and somehow they managed to fit the dress in a carry on sized box, and when I took it out it was completely perfect and didn’t even need to be steamed! I felt absolutely amazing in my dress on the day and received so many lovely compliments on it all day long! Thank-you to everybody at Sophie Grace Bridal for making my experience so wonderful and painless." Becky.
" Thank you so much for everything, I literally found the dress of my dreams and nothing was ever too much! I found what ever it was I wanted they can bring it to life or they would give inspiration and ideas on how you can personalise the dress to get it how you want. 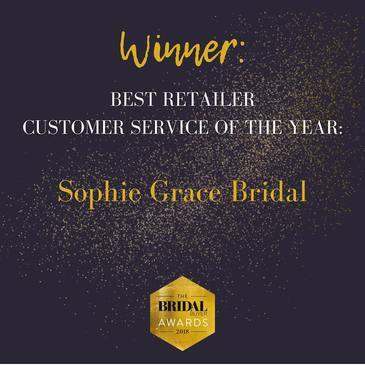 I did go to one bridal shop before coming to Sophie Grace, and even though there was nothing wrong with their service I found Sophie Grace on my first impressions went above and beyond. Which made the biggest difference for me. Lovely when you have people that are so passionate about what they do.. it really Makes the whole experience so much more exciting! " Sharmaine.
'' Superb experience trying on dresses with Melisa and Mo who were knowledgeable, enthusiastic and so helpful. I felt completely relaxed with them and they seemed to understand what I would suit as well as my style. The boutique is great - so much space with a lovely atmosphere, lighting and decor. The 1:1 personal attention for me and my mum made it perfect. Although I tried several on, I knew "the one" and am looking forward to feeling wonderful on my special day thanks to Sophie Grace's team'' Claire.
" I would recommend Sophie Grace Bridal to any bride to be! They are such professionals who have so much knowledge and experience. The shop itself is beautifully designed with a stunning range of dresses and the exclusive appointments make the experience so special. Mo was fantastic -a true expert, she picked out dresses for me that I'd never have even considered and they looked amazing on! When it came down to deciding which dress to choose, I was given plenty of advice & time to really think it through... plus bubbles to celebrate upon making my final decision! Thank you ladies for such a wonderful experience.'' Laura.
" 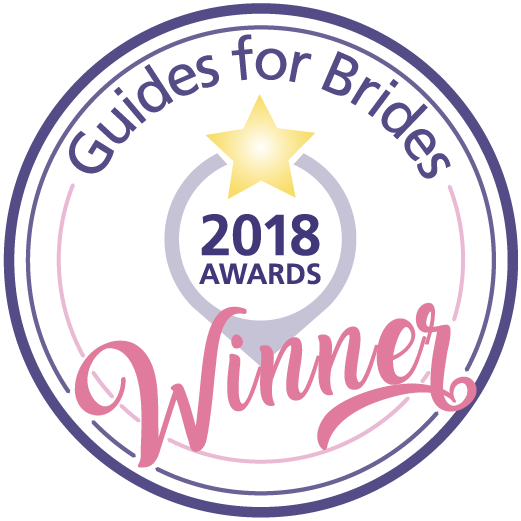 I had the pleasure of being assisted to find my wedding dress with the wonderful help of Mo and Avril at Sophie Grace Bridal. I can only tell you that I have had a wonderful experience. These ladies are not only kind, patient and lovely, but they are professional, calm and clear in their customer service . They really know the gowns and really listen to you. Nothing was too much trouble. I had plenty of time and at not one point felt like I was being rushed or being pushed for a decision. They offered helpful suggestions of which gowns to choose, advice on accessories and when asked, gave their proffesional and honest opinion. 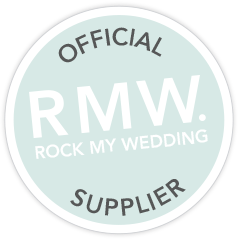 I have never been made to feel more special and I cannot recommend Sophie grace Bridal enough!
" I didn't know what to expect from wedding dress shopping and I honestly couldn't have had a better experience. Pam was there to meet us and said to pick out whichever dresses we liked to try on. We started with a small selection and went from there. Even though I found one fairly quickly that I liked, Pam encouraged me to try on all different styles, even ones I didn't think I'd like to definitely rule them out. At no point did we feel rushed or pressured, we were there for about 2 hours and I tried on between 10 and 15 dresses. I actually went away to think about it and ended going back a couple of weeks later to buy the dress i originally liked. We also met Pam the owner who was also lovely. I would have no hesitation in recommending this shop. Buying a wedding dress is a momentous occasion and Sophie Grace made the experience for me. Very happy. " '' What a beautiful shop this is. I have visited Sophie Grace Bridal a few months ago for my big day. I have found my dream dress. I wouldn't have picked up off the rail. I am glad that I have trusted my bridal consultant and it was the one!! They are super friendly and make you feel so comfortable. Thank you so much. I can't wait until I see my dress again.